For the second installment of this series, we’d like to focus on the fact that first impressions are extremely important. (If you missed last weeks Part I, check it out HERE). A potential buyer may decide to consider a house (or not) based on the view they see when they arrive for a showing. In fact, most people do an initial drive-by before even deciding to view a house! As part of the staging process, you’ll need to take a walk around the outside of your house and decide what you can afford to fix, update, replace, or plant. What is your first impression of the house and yard? - You may want to get a second opinion on this, since you see your home every day and have become accustomed to the way it looks. Ask a friend, family member, or (hey!) your realtor what their objective view of the house looks like. You may be surprised at what you hear. Things such as untrimmed grass, rusty rain gutters, or a worn paint job can add up to making your house look less than it’s potential. What small repairs or updates can I make to improve the overall look of my house? - Small things add up, they really do. How does your mailbox look? Could it use a fresh coat of paint (or be replaced completely)? Look at your front door, is it worn and outdated? Installing a newer, more attractive front door can do wonders for a house. If you can’t afford a whole new one, painting it a different color will give the door an updated look on a budget. While you’re in the doorway, observe your welcome mat. It’s probably seen better days. Invest in a new one to welcome potential buyers into your home properly! Also – don’t forget to replace old hardware such as house numbers, the entry door lockset, or the overhead light fixtures. The outside of the house should reflect the homes interior, so adding clean, stylish accents can add some pizzazz to your home. Try to keep any décor such as light fixtures, and front door accents symmetrical, as it’s more pleasing to the eye. What landscaping projects need to be completed before I show the home? 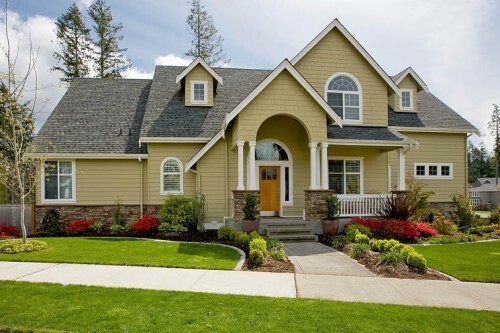 - The way your yard looks is a big factor in curb appeal. If a buyer drives by and sees dead grass, unruly limbs, or weed infested gardens it could lead them to think that the rest of your home may be neglected also. Make sure all gardens and flowerbeds are alive, pruned, and free of weeds. You’ll also want to make sure all bushes and tree limbs are trimmed as well. If you can afford it, hire a professional landscaper to come in and trim your yard, install a new planting bed, and take care of all edging and weed eating. If you’re on a budget, do it yourself, but remember to pay special attention to the details. Once the major stuff is finished, add flowerboxes in the windows or some vines to frame the entryway. Anything to make your home look colorful, polished, and appealing! Once the outside of the house looks like a model home (or as close as you can get to one), there are several finishing touches you will need to apply before the house is ready to show. Check back next week for the final installment, and more tips for staging your home for sale. If you have any questions about selling your home, you can call 1.877.284.2489 anytime to get in touch with a real estate expert.